Eric and I did not spend much time exploring Ft William itself, mostly using it as a jumping off point for Glen Coe but we did have some memorable eating and drinking experiences in town. 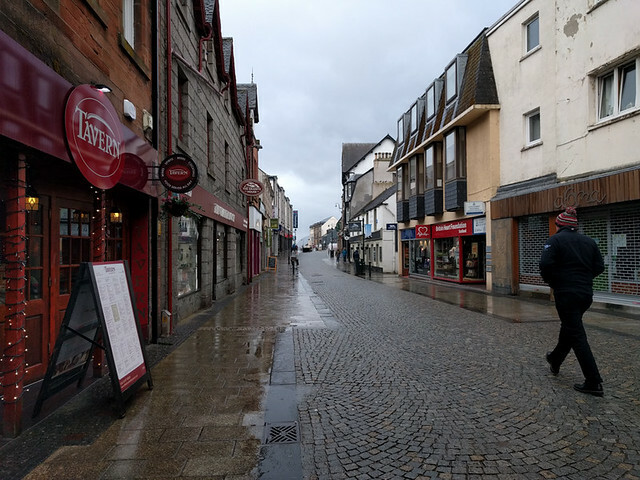 The Grog & Gruel – a long walk from the B&B in the rain, but worth it! We had spent several hours in the car and were all feeling a bit antsy. Just ask us about each others rap names some time. ;) Natalie and I both got a cask stout which reminded me of a Guinness. Very pleasant. Eric got a scotch ale. We easily found a table in the early afternoon but it looks like this bar could get pretty crowded in the evenings. 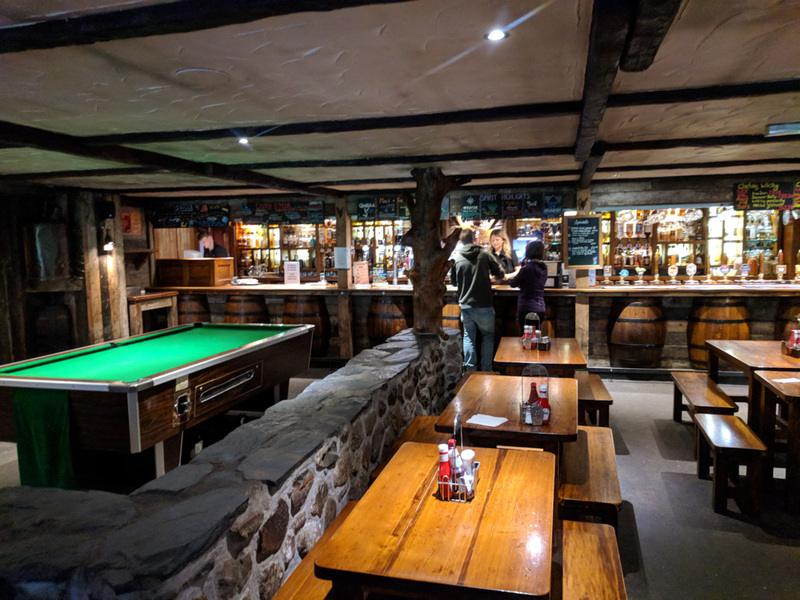 Ben Nevis Bar – We went in for the supposed whisky selection but it was just the usual suspects, although the prices for the ‘large pours’ were very good. The beer selection was pretty sad and the red wine was absolutely terrible, but the people watching and posters in the bathroom made up for some of the lack of atmosphere. 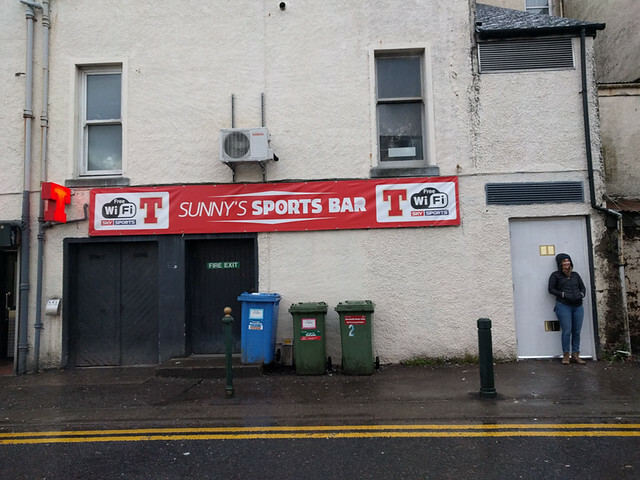 Sunny’s Sports Bar – Definitely some local color. The bartender was quite friendly, and we split a nice pint of Guinness and enjoyed conversations with several of the folks inside. We also derived quite a bit of entertainment from the idea of whisky-flavored condoms in the men’s room. 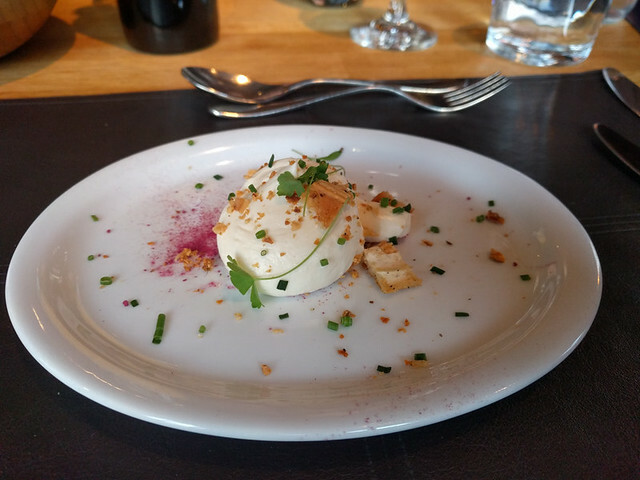 Garrison West – Our first meal in town and we were not disappointed. Thankfully I made a reservation as the restaurant was packed when we arrived at 7:30pm. After scoping out other diner’s plates, I decided on the venison charcuterie and Eric chose the bison burger off the specials board. We split a bottle of sparkling wine and I took notes on the pattern of the curtains (beautiful blue tartan). On our way back from our day of hiking in Glen Coe we stopped at the Boots Bar at the Clachaig Inn for a bowl of soup and a pint. Williams Midnight Sun Porter for me and Scotch Ale for Eric. 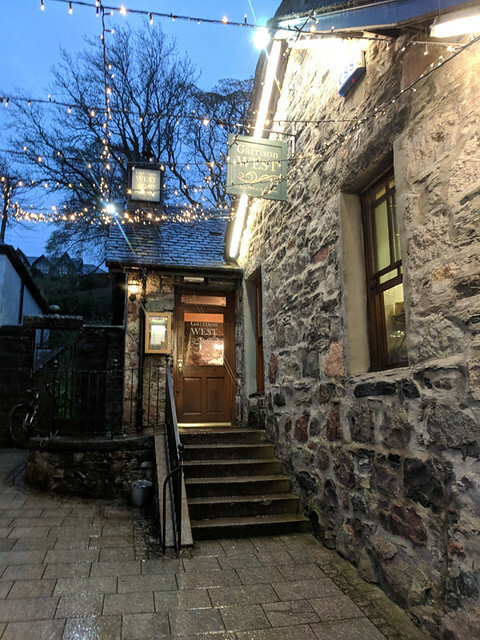 They have a huge whisky selection and Eric decided to have a dram while I was waiting for my potato and leek soup, going with a Talisker Port Ruighe – Port Finish (E’s Notes: Nicely smooth, clean. light chocolate and saltiness, light smoke. Reminiscent of a Benriach. Nose of red wine.) 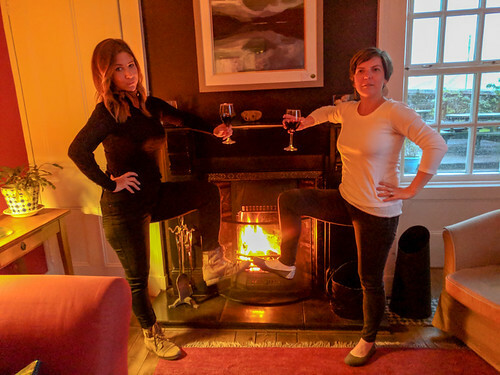 Given the rain, the wood fireplace was also a nice bonus in the pub. Lime Tree An Ealdhain Restaurant – Great meal, possibly the best of the trip. We each started with a whipped goat cheese amuse bouche accompanied by a Chilean red for Natalie and I and a smoked scottish ale for the guys. Eric started with the smoked cod waldorf salad (he is still talking about it) and I ordered the heritage tomato salad which was good but not at all what I was expecting. We split the venison steak roll for our main, very tasty. 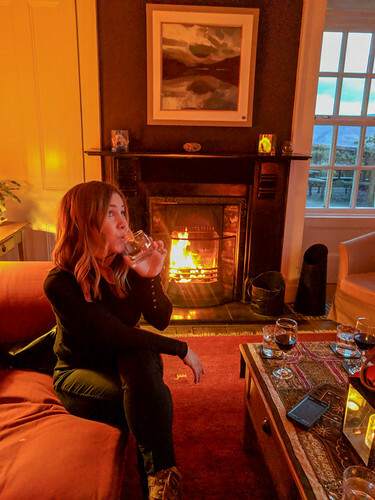 After dinner we asked if we could have drinks in a side room that featured a pleasant coal fire. Permission granted! I had a Glenmorangie, pleasant, a bit of light chocolate, with some fruit. Eric tried a Strathtisla, nice wine notes, easy to sip, no smoke. Mike had a Jura (which we all tried), iodine/salt, some fruit, a little cream. Would highly recommend Lime Tree for a splurge meal if you find yourself in Ft William!